Recoil is a basic phenomenon when a gun shows a reaction to the shooting action. To make it simpler, we can say it as the moving of gun towards the upward direction when you are shooting. Whatever the thing is, it is very annoying and affects your game to a huge extent. The moving gun deviates you from shooting your enemy and you might end up being a box releasing green fumes. The recoil varies in each gun and to check it, you can visit the armory in the game. For instance, AKM and Groza have huge damage but the recoil makes it hard for a few players to properly utilize its power. The recoil can be controlled using various attachments and you can check which attachment suits your gun, but the problem arises when you have the gun without proper attachments to control the recoil. Here is a complete PUBG guide by Naman Mathur AKA Soul Mortal on how to control recoil. To control the recoil one should use his/her right thumb to pull the gun down a bit when shooting. This will help you shoot your target precisely, it's not an easy job and needs much of practice like other techniques. BONUS TIP: Different muzzle attachments are used for different purposes. A compensator is used to reduce the recoil of a gun, while on the other hand, a Flash Hider hides the gun's flash by 30 - 40% and makes it quite difficult for your enemies to see you but a Suppressor among all does not just kill your gun's flash but also suppresses the sound and makes it almost impossible for the enemies to reveal your position. This helps in most of the situations and let you stealthily hunt others. 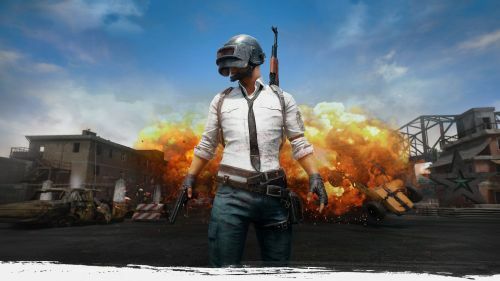 PUBG Mobile tips: How to perform a clutch?